Christmas gift for Amira a great success! 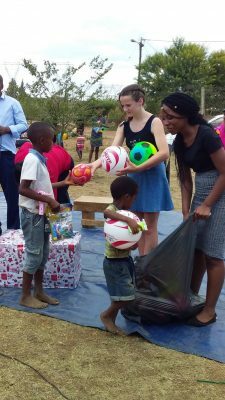 Children in Ikageng surprised with extra gifts. Amira really wanted, instead of Christmas presents for her, one piece of playground equipment for a new playground. 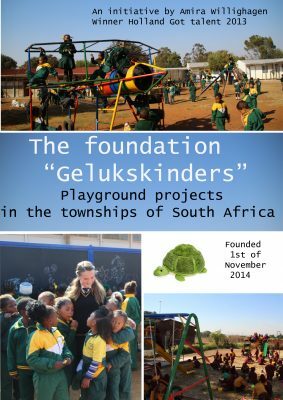 Thanks to an action, with the help of “gelukskinders”, specially set up for this purpose on Facebook and here on amirafans.nl, Amira can place a whole new playground. More than € 8500,- has been donated. THANK YOU ALL. 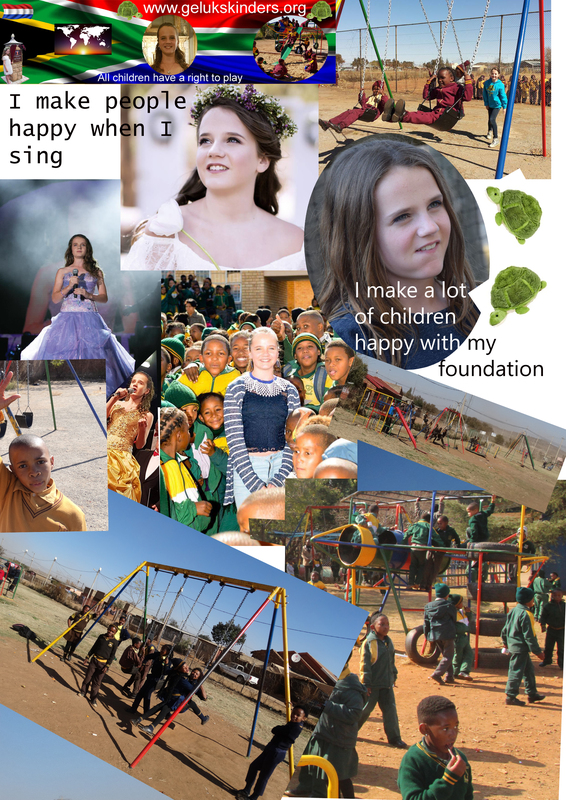 Next year, 2019, FOUR new playgrounds that Amira will open… Fantastic! Amira herself has made more children happy with all kinds of gifts from the proceeds of her last Christmas concerts in South Africa. Especially balls… lots of balls, there were some smaller gifts too… Amira shows her golden heart again here. 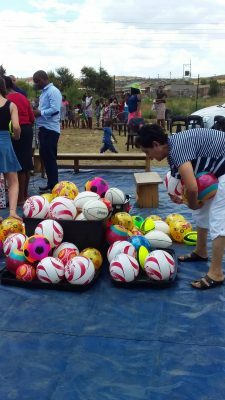 For 200 children, in a township of Ikageng, this Christmas will be remembered for a long, long time. Hello Amira, my name is Mark, from Colorado Springs, Colorado, U.S.A. I have been watching every Youtube video of your performances I can find for the last 6 months as I was so taken by your one in a billion voice. I have been a musician for more than 50 years, and never heard a more pure sound. It is a pleasure to hear your voice developing such a rich, beautiful tones/harmonics. I am also glad to see that my purchasing all 3 of your CDs via the Gelukskinders.org site went where it was supposed to go. The jewel cases were broken but the disks were undamaged and more than I expected. I hope that sometime in the next years, if I live that long, that you will come to Red Rock Amphitheater in Denver. I would dearly love to hear you in person. I will continue to purchase any future CDs you release, and continue to watch a rising superstar. Just wish I could get a region 1 CD as my player cannot play region 2 disks. There is no one more deserving than Amira and her charges on the playground. Never too old to play. Amira asked for a gift for the children and nothing for herself for Christmas. So what did her fans do? HA HA!! Well they just gathered up some money and donated to build a complete playground!!! Amira’s fans love her gentle kind soul and amazing voice so much that it was easy to do!!! Merry Christmas Amira!! !